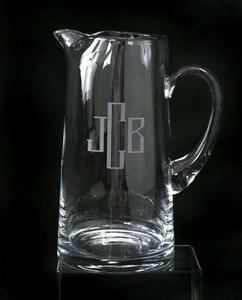 This traditional monogrammed pitcher is the perfect complement to a set of monogrammed beverage glasses. The hand-formed spout is well designed for smooth pouring. This pitcher is able to hold 95oz. of liquid.